Of all the joys summer brings, mosquitoes are not one of them. Those little buggers are always the unwelcome party guest at backyard barbecues, campfire festivities, and general outdoor summer activities. Though you are generally safe during the day (unless you’re exploring deep wooded areas or hanging out by standing water), mosquitoes are extremely active in the early morning when the sun rises and the early evening as the sun sets potentially turning that relaxing evening out on the porch into a buzzing battle of the bugs. For most, mosquito bites are simply a nuisance. It takes no more than 6 seconds for a mosquito to bite and get its fill. To get in and out so quickly, mosquitoes have an anticoagulant in their saliva that stops your blood from clotting, making it easier to ingest. But what’s good for the mosquito is not so good for you. In fact, that anticoagulant is the culprit behind the mild allergic reaction and classic itchy, round, red bump left over. Though unpleasant, the souvenir is certainly no serious health concern and most mosquito bites heal within a week. But in some areas of the world, mosquitoes are known to carry serious diseases like malaria and yellow fever making their bites more dangerous than a bothersome itch (which is when you should weigh the risks of using chemicals we generally try to avoid, like DEET, with the risks of contracting disease). 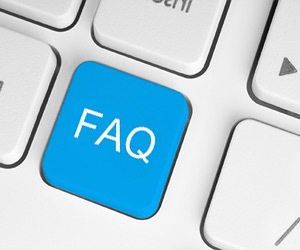 Their bites also have the potential to become infected when scratched making healing a more difficult and painful process. As with most ailments, the best way to treat mosquito bites is to prevent them. So we’ll begin with tips on how to avoid accidentally attracting mosquitoes followed by our favorite natural mosquito repellent recipes. We’ve written about the health concerns presented by most perfumes and synthetic fragrances, but avoiding them might also help you avoid attracting mosquitoes. Many bugs are attracted to the sweet smells of scented shampoos, body washes, and lotions. Avoid unwanted attention by skipping that delicious body butter (unless, of course, it’s one of the essential oil repellent recipes below!). Along the same vein, your unwanted buggy friends also seem to have a special attraction to sweet fruit. In fact, bananas are especially appealing to mosquitoes and black flies. So perhaps pass on that frozen banana daiquiri. The information is conflicted, but some folk remedies claim that a daily dose of 25-50 mg of vitamin B1 (thiamine) can render your skin less appetizing for mosquitoes and other biting bugs. While we’re not completely convinced, it’s worth a shot, right? Most multi-vitamin and B-complex supplements contain thiamine. Keeping a walking pace can be enough to deter most biting bugs. It’s when you stop to appreciate the sunset or relax by the campfire that you become a prime target. Outdoor fans can also provide some protection as the breeze they create makes it more difficult for the mosquito to land and enjoy a quick drink. But we wouldn’t count on either as our primary defense. Essential oils have long been used as the primary ingredient in natural mosquito repellent formulas. Though mosquitoes are known to enjoy certain sweet scents (including the most natural scent: human au naturel), they are not known for enjoying the scent of many essential oils. It is believed that some essential oils work to repel mosquitoes and other flying pests by blocking the scents they do like and by irritating and disorienting them. We suggest experimenting with blending some of the top performing essential oils together to create a natural mosquito repellent you enjoy but the bugs don’t. Just remember that most essential oils should be diluted before using directly on your skin. You can use a carrier oil or other liquid like distilled water. While we generally like almond oil and sesame oil as carriers, neem oil is a particularly good choice due to its natural mosquito repellent properties.10 A good rule of thumb is to combine no more than 10-15 drops of essential oil per ounce of carrier to keep the ratio safe and less likely to cause skin irritation. Or even better, you can start with one of our favorite natural mosquito recipes below! Before moving on, it is always important to note that some essential oils, though natural, are not recommended for pregnant women or infants. So be sure to consult your physician and do your research before deciding which oils to include in your natural mosquito repellent. Beyond skipping the booze and bananas, you can mix up your own homemade natural mosquito repellent in a gel, lotion, or spray. We prefer using these natural recipes over the store-bought chemical bug sprays any day, many of which contain DEET and other harmful substances linked to nervous system issues,11 skin irritation, and asthma. This recipe makes a simple gel of citronella diffused into petroleum jelly. Carefully melt the petroleum jelly in a microwave safe container (preferably glass like this one) by heating in 30 second increments and stirring between rounds. Once melted, stir in the citronella and allow mixture to cool. To use, simply rub a small amount on exposed areas of skin to repel mosquitoes, horseflies, and black flies. To be continually effective, reapply to exposed skin every 30-60 minutes. This simple topical natural mosquito repellent can also be used on pets – particularly dogs and horses. They’ll definitely thank you! If petroleum jelly is a little too greasy for you, you can also mix up a quick lotion with a blend of essential oils using a light natural moisturizer. Here is your opportunity to get a little creative. You can use any one essential oil in this light moisturizer or you can create you own blend (2 drops here, 3 drops there). Not feeling up to creating your own? Some swear by the famous Four Thieves blend which combines clove, lemon, cinnamon, eucalyptus, and rosemary essential oils. Many of the top essential oil companies carry their own version of the blend. For a good natural lotion base, we like this one. It’s lightweight, organic, and doesn’t contain any harsh chemicals. When it comes to creating your own blend, we recommend starting with a small batch adding the essential oils only a drop or two at a time. Like the citronella gel, this natural mosquito repellent lotion should be reapplied at least once every 60 minutes for maximum effectiveness. We like applying some lotion, then keeping a simple homemade spray on hand with us outside for quick and easy reapplication. Speaking of a homemade spray, mixing up a natural mosquito repellent spray with essential oils is incredibly easy. We especially like spray formulas as they are easy to apply and can be used all over. For maximum benefit, we not only spray on exposed skin, but also on clothes and hair. As always, we recommend investing in some reusable tinted glass spray bottles (for this recipe, we like these). They come in a variety of shapes and sizes and not only are they easy to clean, but you do not risk leaching or reactions as you do with some plastics. The tint also helps to maintain the integrity of the essential oils. For witch hazel extract, we like this one, which contains a small amount of alcohol as a preservative. First, add the essential oils to your spray bottle. Then add the witch hazel or vodka which will act as an emulsifier. Then add the distilled water. Shake to combine and spray liberally! While you can use any combination of essential oils you’d like, we like using a similar or complementary blend for both our homemade lotion and spray repellents. That way, we can use them together to even more staying power. Real vanilla (not the fake stuff) is one of those sweet smells that mosquitoes inexplicably dislike. We like this recipe for those readers who haven’t yet jumped on the essential oil train as the ingredients can be found in almost any kitchen. Simply combine the water and vanilla extract into a spray bottle. Be sure to use a natural pure vanilla extract like this one. Shake and spray onto skin and clothes to repel mosquitoes. Love the smell of lavender? Go ahead and drop some lavender essential oil in, too. The lavender vanilla combination is delightful for you, but not for them. For those dedicated to their herb garden (and perhaps less so to their essential oil collection – or lack thereof), this natural mosquito repellent recipe takes full advantage of those fresh herbs. You can also use dried herbs for this recipe, but you may need to up the amounts. Place all of your herbs into a glass mixing bowl (preferably one that has a fitted lid like these Pyrex glass containers – we use these in place of plastic tupperware!). Bring water to a boil then add to the mixing bowl with the herbs. Cover and leave to steep for at least 2 hours or until cool. After steeping, strain the herbs out, squeezing to release any excess water. Pour the herbal water into your glass spray bottle along with the witch hazel or vodka. Shake to combine and spray away! This mixture should be kept in a cool, dry place. The pantry will work, but the refrigerator is even better! When using homemade natural mosquito repellent, be sure to use liberally on all exposed skin with special attention to “hot areas” like the neck, underarms, and behind the ears. Sometimes that one (or two or three) tough mosquito gets through and you end up with a nasty, itchy mosquito bite. What then? 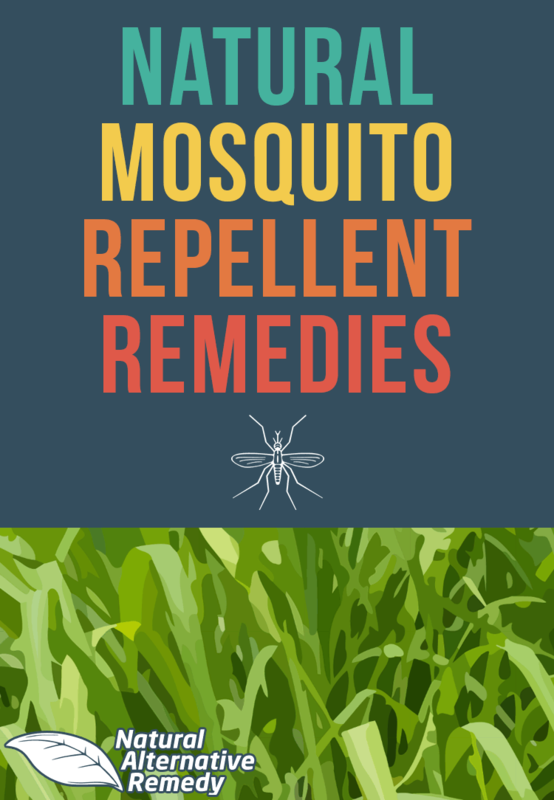 Be sure to check out our home remedies for mosquito bites you’ll want to have on hand. How do you keep mosquitoes at bay? Share your story in the comments below!